Ben Lesh has been with KCIT for about 10 years. He came from a career in the private sector designing and building custom Learning Management and Content Management systems for Fortune 500 companies. 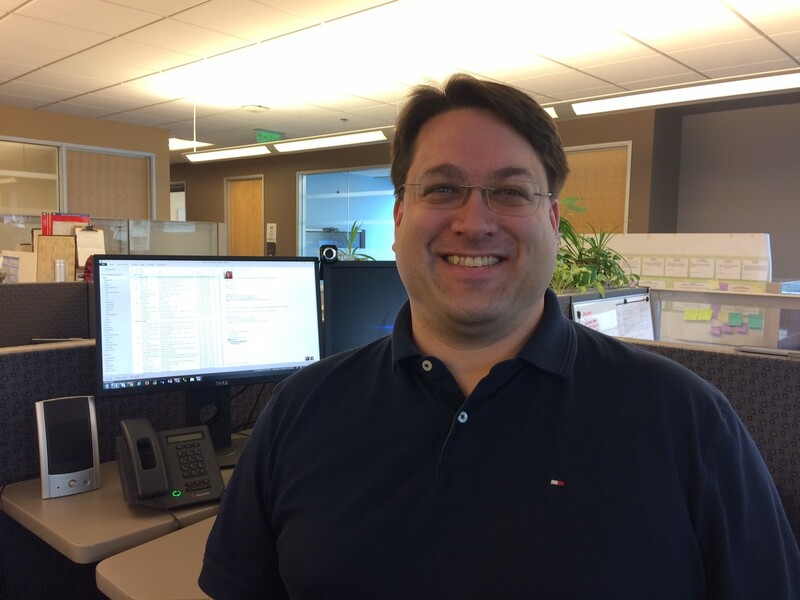 He chose King County IT because he wanted to serve his community and be a part of a larger organization tackling difficult IT problems. Ben has carved out a bit of a niche for himself as a go-to person for new IT stuff. He even curates a blog …. because he’s pretty much obsessed with all things tech. Here’s Ben’s story as he tells it. His comfort and confidence inspired me to ask a different question: what’s a dangerous idea that you want to talk about that people are generally afraid to talk about. “I’ve found that the most dangerous concept we’ve been facing over the years is not feeling comfortable speaking up and sharing your own opinion with everyone. We tend to remain isolated and siloed in our work, and getting out of that mindset is incredibly hard. It takes a concerted effort sometimes to encourage open and respectful dialog. Being an expert in IT, I was also curious about the blogs Ben follows.